We all want to save money while raising a family, and becoming a frugal family is a good way to do it. Frugal living doesn’t mean going without, it’s more about living life to the full on less. To start living more frugally as a family you need to make smart money choices. Make your money work for you and really start to budget are the first steps to saving money while raising a family. If you haven’t started already, then creating a household budget is a good place to start. It allows you to see what you’re spending money on and if and where you need to cut back. Try and decide how much you’re going to spend on food, petrol, and treats and stick to it. If you prefer to use cash to budget then drew it out and put it in envelopes to use. Anything left over gets put into the money pot. Food plays a bit part in the family budget. Whatever you and your family plan on eating that week put down. Make this your one and only shop for the week. Managing the money you do have can be hard when it needs to be pulled in so many directions. There are loads of budget phone apps that can help you keep on top of your finances wherever you are. We use Plum*. It’s completely free and it lets you input your salary and outgoings, plus links to all your accounts including savings and investments. Please don’t suffer in silence. Get help now so you and your family can move forward. If you have never budgeted before or it’s been over 6 months since you reviewed your finances then why not join our Money Saving Mums group. 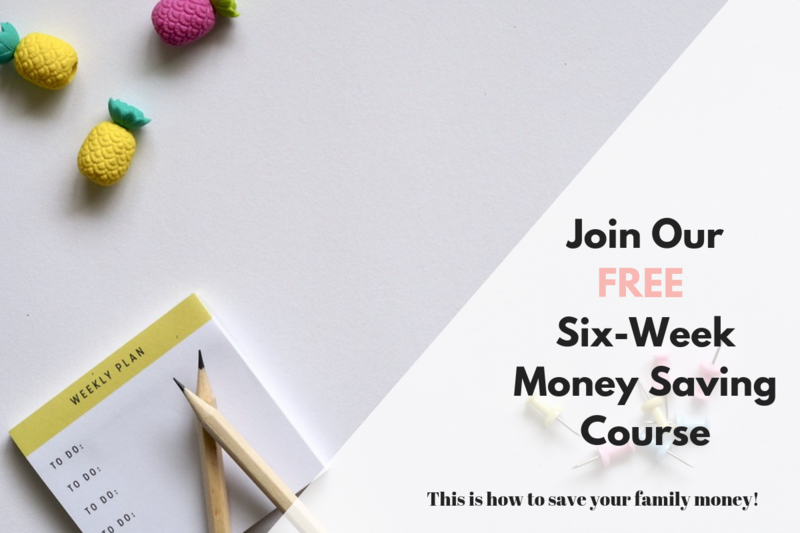 It’s a group for mums who want to overhaul their money and get some real tips on how you can stretch your money. It’s a closed group so only those that have accepted the challenge can see your posts. We are all at different parts of our money saving journey so there’s no shame. We talk openly about how all save money to try and help each other. Sign up for our free six-week money saving course. Becoming a frugal family isn’t about being cheap or not spending money, it’s all about saving where and when you can and spending your money on the things are family want or need. 1.Start a monthly budget and stick to it. That way you know what you have left over, if anything that month. Use my FREE downloadable budget planner to help. 2. Go through all your bills and check you’re on the best deal. Phone them and ask. What’s the worst that can happen? Look at Compare The Market* and check how much you should be paying. This gives you a base line and means that you can either grab a deal or haggle with your existing supplier. 3. Use a FREE app like Plum* to help keep track of your families spending habits. It’s completely free and it lets you input your salary and outgoings, plus links to all your accounts including savings and investments. 4. Move to a water meter if you haven’t already. This tracks your exact water use so you have complete control. 5. Switch energy suppliers EVERY year without fail. Bulb*, who are trying to make switching your energy supplier easier, cheaper and greener. You’ll also receive £40 when you switch! Finding out how much they could save you is completely free! 6. Use a site like Switchcraft* for your electric if you don’t like the hassle of looking around. They automatically switch you to the best deal for you at the end of your term. Find out more here about how Switchcraft* could work for you. 7. Meal plan like a queen. Everything gets put down, including snacks and desserts. 8. Use the meal plan to then make a shopping list. Take it with you and stick to it! 9. Find cheap recipes your family love and let everyone pick one. It helps fill up your meal plan and have less waste. 10. Use up any leftover food that’s going off. Smoothies, cakes and slow cooker recipes are perfect for this. 11. Try the penny challenge for three months and put that saving toward a family trip out. 12. Pack lunch for the whole family. No more school meals (unless they’re free) or office outings. Keep track of what you’ve saved. 13. Turn off the central heating when you’re out. This could save you £75 a year. 14. If you can’t afford to pay your bills, don’t leave it. Call them and ask for a payment plan. 15. Check your cupboards, freezer and fridge and buy kitchen staples. Try to add one cupboard meal into your meal plan. 16. Have a no spend weekend once a month. Have a jar of free ideas. 17. Grow your own vegetables. 18. Check offers before you go anywhere. 19. Shop at the online outlets and get massive brand discounts. 20. Have a night out for free by sitting in a TV audience. 21. Use cashback websites like Quidco* and Swagbucks* whenever you can. 22. Use loyalty cards like Tesco Clubcard or Boots Advantage Card* as you get freebies back. 23. Use eBay* before you buy anything. 24. Use our £18 a week family menu once a month to try and keep food costs down. 25. Reduce your family waste by understanding dates and where items go in the fridge. 26. Sell old or unused items on Facebay or eBay. 27. Use free apps like WhatUp to text and send messages to your friends and family. 28. Find free ebooks for your phone. 29. Make sure you’re claiming everything you should be. On Dealsdaddy, they have voucher codes for clothing, accessories, shoes, home decor, furniture, pet supplies etc. 30. Use money managing apps like Plum* to keep your money under control. 31. Use Facebook communities to help you find other mums who love saving money. 32. Spend 10 minutes every day making a money on your phone. 33. Ditch the tumble dryer and hang your clothes up to dry around the house. 34. Drink more water when out and about. 35. Review your subscriptions every 3 months and cancel what you don’t need. 36. Turn lights off when you aren’t using them. 37. Walk more when you can. 38. Buy better cuts of meat. Muscle Foods* is a good one to start with. 39. Get a jar to store all your loose change. 40. Join a money saving challenge to kick start your savings. 41. Try one of these cheap pre-made meal plans. 42. Downshift your brands. Start at the bottom and work your way up. You’ll be surprised at how nice a value product tastes. If you don’t like it, then go up one and try that. These meals are all made from food brought from a discount retailer. I try and buy winter clothes when they go on sale in the summer ready for the following year. If a few items don’t fit exactly right by then, I’m not that annoyed about it as I saved money on all my purchases overall. We’ve all been there. You spend forty quid on a VTech watch or singing Elsa to find the kids would rather play with the box. Now, I splash out of one big thing each, then make everything else. One of their favorites is still Cheerios is a plastic box. This leads me nicely on to local sales, Babybay and swapping sites. My local NCT branch organizes Nearly New Sales twice a year. You pay for a seller’s pack, label everything up and drop it off on sale day. You don’t even have to stay! Babybay and swapping sites are becoming more and more popular. I use them when the kids need a few extra toys or DVDs but not clothes normally. For the next size up, I normally ask around my friends. Most of us have clothes that our kids have outgrown and no longer need and can’t be bothered to take to the charity shop. 47. Buy in bulk. The bigger box of nappies you buy, the cheaper they are. Works with most things, apart from cake, unfortunately. 48. Cook from scratch. It’s may take longer but is a lot cheaper than buying pre-made. 49. Washable wipes. Use them for everything and then chuck them in the wash.
50. Use pound shops for school supplies or birthday gifts for friends. 51. Switching supermarkets. I’ve saved over £30 a week just be switching from Asda to Aldi. Try it! 52. Pay by direct debit when you can. You normally get a discount and don’t have to think about it. 53. Never auto renewal ANYTHING without price comparing first. It will always be cheaper elsewhere. 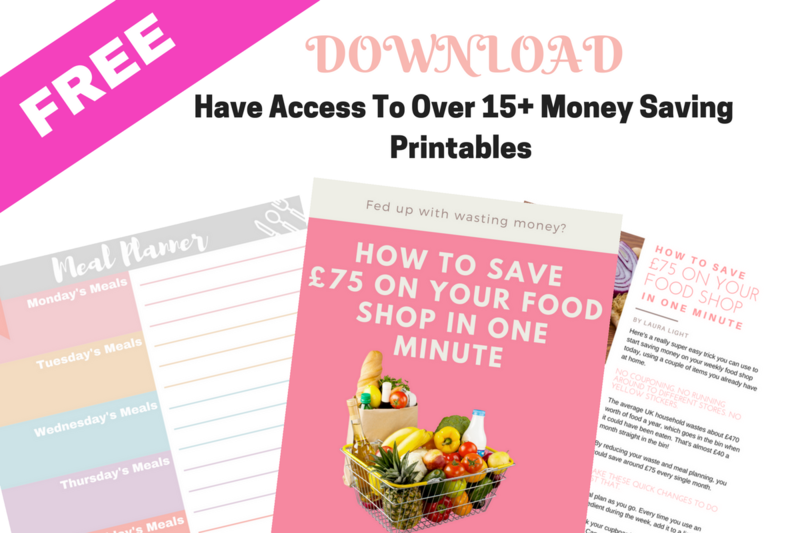 If you found these frugal family tips helpful, then come join my Money Saving Mums group. Have you tried any of these family frugal tips? Have I missed any? I really hope these frugal living tips will help you to save your family more money. This is such a comprehensive list! I definitely need to save this one. I would love to make my own washing soap one day so will give it a go. Thanks for sharing simple tips to make life more manageable financially. Make your own weedkiller from white vinegar, salt, water, and washing up liquid. Great list, I would add use the warehouse companies that sell food near to or past the best before dates… Nothing wrong with the goods whatsoever and you can save a fortune. Buying something online? Add it to your basket and go back to it later to give yourself a chance to decide if you really need/want it or not. It can save a lot of money by not buying things on impulse. Putting any coins in your change smaller than a pound into a pot. 😁 Surprisingly fast how much it grows to a decent amount. Using cashback sites for money back! Buying only what is necessary. I’m trying to save at the moment and I always want something. But I tell myself no and do without. Thinking about the future rather than the now. Obviously I still treat myself but to one thing I’ve been wanting for ages every couple of months rather than something every time I want it. Stop collecting, and start selling. I feel like I’ve stumbled upon this at the exact right time in my life! My best saving/frugal tip I’ve learnt is probably to not take my card to work or out anywhere I’m not planning to get shopping, that way I can’t buy anything on impulse! My parnters started doing it too. Use the reduced sections of supermarkets and don’t forget to check for the ‘sell by date’ deals. If you see any discarded/dropped money on the floor pick it up, and put it in a jar. At the end of the year if you add up how much is in the jar, you will be very surprised. I know I was! Use vouchers from various apps as often as you can – eg: voucher codes, my voucher codes and don’t be embarrassed using them. I upcycle things for gifts. i make my own canvases and things by wrapping unused wrapping paper or fabrics around plain or old canvases. You don’t need anything apart from very hot/boiling water to kill weeds. I regularly boil the kettle to kill off weeds on our patio. When I go grocery shopping I check what I’ve got, and make a list to stick to. It’s so easy to throw things in the trolley only to get home, and find you’ve got plenty. Every week I transfer over excess pennies from my bank account into a separate account and round it down to the nearest £10. Some weeks it’s a few pence, other times it’s as much as £9.99! It soon adds up and is handy for Christmas. Plan your meals and only buy what you need for those meals. Even better shop online to avois the impulse purchases. Put £10 a month away and at the end of the year, you’ve got the money for your Christmas food shopping! Clip coupons and store them in your purse ready for use. Always check what offers on at budget supermarkets. weekend offers etc and buy then when its cheaper. Even doing 5 of these things will help my budget!! I use http://www.mysupermarket.co.uk/ to compare the prices of groceries that I buy regularly. Use dishwasher tablets to clean the oven, wrap removable parts in foil and immerse in the bath for 2 hours. Says £’s on oven cleaners. Switch for own brand beauty products at Aldi. You can have luxury without the price tag. We dont use our tumble-drier as we find it make the electric bill soar: instead we have started taking our weeks laundry washed and ready to dry to the local laundromat and dry it there. Costs us £6 a week, but it is paid so no horrid high unexpected bills. Hit the shops when the reductions are being done – we have a medium sized Co-op in our village and their final reductions are always a 1/4 of the original price! We have a freezer full of meat and are never short of fresh fruit and veg! Get on a money saving forum and find out about all sorts of specific offers and tips. Write down every single thing you spend then you can see where your money is going and set a budget. When you’re going to buy something ask yourself is it something I just want or need, will I get enough use out of it and is there a discount code or cashback ? Visit the local supermarkets after 4pm, or find out the exact time they come out with the Yellow price reduction stickers, I grab lots of meat and fish, and then freeze straight away, which i then use through the week for main family dinners, it saves a lot of money over the year, a third of what the normal cost…………..
I’ve been using Aldi for years, but due to unforseen circumstances i need to cut more. I’m going to the food market where they have a lot of food verging on near ood, I used to do this year’s ago and would spend £20 per week in food. I always cook from scratch so that’s not a problem. But it’s bulkcooking and freezing that I’ll be doing from now on. I shop online with a pre-prepared list. I’ve found this is better than shopping instore as I’m less likely to see something I want that’s not on the list and pick it up. Aldi reduce products after 8 p.m. with best before date of the following day so we shop late evening navigating the store with ease and put lots of fresh fish, & meat in our freezer. All these items are half price so enable us to eat a healthy diet for low cost. I use cashback sites before buying anything online. Meal planning not only saves you money, it can save you time too. I like to do my meal plan around what I already have in the freezer or cupboards. I then write my shopping list to fill the gaps in the meal plan. This stops me buying things I don’t need – and don’t have room to store, and forces me to use up what we’ve got. If you havent used something in the past 3 months the likelyhood is that you wont use it again so consider selling it or giving it to charity. This applies to nearly everything. If possible when cooking, always make enough food for a couple of meals. Dishes such as casseroles, quiches, lasagne, along with soups can be frozen. Not only saves time, saves energy as well. I use Cashback sites to save money. I plan my shopping list and stick to it, collecting loyalty points too. Only buy what you need not what you want, also have a separate savings account for something special such as a holiday. Never go food shopping when you’re hungry! I plan meals in advance and only buy what I need for that week so less food is wasted and I save money by buying seasonal produce too. how about- switch off the TV / dvd plug at night and check all the chargers are off. Also- get a library card. 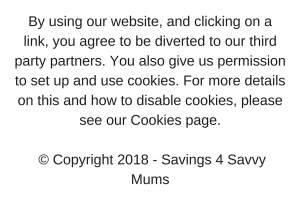 I have really enjoyed using the library for our whole family this year, we used to just order everything we wanted to read on Amazon and now I can order in childrens books to borrow for free! Give your house a deep-declutter, get super-organised and have a place for everything. Sounds odd but I’ve just done this and discovered things I’d forgotten we had and don’t need to buy, things we don’t need that can get sold and made space so I can do a bit of bulk buying – all good for the pocket. Ditch takeaways – home cooked meals always taste better anyway! Get a refillable water bottle! My top tip would be don’t be afraid to try supermarket home brands, as some of these are really good. Always cook too much on an evening so you can take leftovers to work for lunch for following day. Its way cheaper than so called “meal deals” and better for you. I use topcashback website! it’s brilliant. especially at Christmas when buying things in bulk. you can get some much money back! Slightly squash toilet rolls when hanging them from the holder. This stops them running on and giving you more toilet paper than you need. Don’t buy things you don’t need. Things do not equal happiness! Always plan your meals before doing your weekly shop – cuts down on waste and avoids impulse purchases. I have started doing meal planning, which has been a great help, as I am now only buying the food that I know we will use each week, so it has been saving me money. For online shopping, check out voucher code sites. Use coupons when you can but only use them for things you would normally buy (don’t spend extra on things you won’t use just because they are cheap!) also use receipt scanning cashback apps like checkoutsmart for a few extra savings! I use survey sites to earn a little extra money/vouchers and put it towards birthday/ christmas presents. check prices by weight/amount, this week I could have bought 6 packs of Cheddar Minis for £1.79 but on the shelf above was a 12 pack of the same Cheddar Minis on offer for £1.50! So for the sake of just looking I got 12 packs cheaper than just 6 packs, just by looking at the shelf above! Plan meals and batch cook, it really helps to cut down on your shopping bills! I use cashback sites. I also make lists everytime I go shopping, and I stick to it. I batch cook and freeze meals for the weeks ahead so I am not tempted to overspend on a mid week meal. I use cashback sites, but also keep track of all my outgoings on a spreadsheet. I break everything down so I can exactly where money is being wasted and were we could cut back. I’ve always found if you don’t have any money you can’t spend it! Don’t assume that Aldi or Lidl are the cheapest. I did and was extremely surprised when I went elsewhere. This is an excellent list, I am going to bookmark it and use it to check up on myself. I’ve always considered myself to be really budget savvy and frugal, but there are some things here that I don’t currently do, so sharing ideas is a great plan! I only really ever buy things that are on sale or have a discount code available. I also do tonnes of surveys and studies that give away vouchers and save them up for gifts etc. I try to pack out meals by adding cheap sauces and cans of different kinds of beans and pulses to them. I also buy basic brands in any products that I don’t feel it makes a difference, pasta, rice, beans, canned peas etc. Bringing home prepared lunch to work. Switch to LED lightbulbs. It’s saved us quite a bit on our electricity bill. Also switch providers to get a better deal. As light bulbs need replacing, choose LED low-energy bulbs. They really help to save energy, and it all counts. check your fridge every week grate and freeze cheese oddments for quiches sauces etc. If anything is going out of date try and freeze it or plan a meal to use it up.Then monthly check your freezer and do meal planners to use up all the oddments you’ve froze so they don’t get wasted. Instead of buying cleaning products how about making your own? Batch cooking is mine. It saves an absolute fortune cooking and freezing lots of meals at once. When you want to buy something, always leave it a day or two to make sure you really do want it! Use E-bay & Facebook for selling kids clothes that they’ve grown out of, we’ve managed to get hundreds of pounds back that way. Never buy something without shopping around for best price first! if you are only going in the supermarket for a few items, don’t use the trolley use a hand basket, a full basket makes you think you have bought enough however a quarter full trolley makes you feel that you haven’t bought very much as you tend to then add in things you don’t really need. I am sure that is why it is far easier to find a trolley than a hand basket! Using a small trolley helps limit the amount I buy! Voucher websites are a life saver! A great way to save money with savings. Regularly check that your bank is offering the best interest rates, and change when rates drop or become uncompetitive. Look at changing your current account as there are so many financial incentives to do so. Nationwide (for example) are offering 5% interest rate at present. Also check savings and ISA interest rates and gain the best rate you can. You can increase your money annually without much effort. Kids need entertaining, but they don’t need to go to theme parks or expensive places. Find free museums and parks to go to, and enter competitions for family tickets for places that charge. set a shopping budget and don’t go over it, If you are strict with doing this, it is amazing to see what you remove from your basket that you don’t really need if you go over. Have a kids birthday party coming up? Sent out the invitations by email or text. Get the kids to make a personal craft like a tile so they can take it home as part of the party bag. Find out what time your local supermarket reduces their products, especially if you’ve got a big freezer to freeze reduced meat,butter,cheese etc., straight away, they lasts for months! My tip is to set up a regular amount each month to go into a savings account by standing order. That way, you get used to saving regularly and you don’t miss it. Make homemade gifts for friends and family! We have a change pot next to the bed and empty our pockets. Check cashback sites before buying anything online, it can really add up! Turn down your heating thermostat by 1 degree. You will not notice the decrease in temperature, and will save money on your energy bill. Always use cashback where possible and when shopping think do i really need this item? change all energy, internet and insurance providers every year through a cash back website, cheaper deals and making money for Christmas. Job done. I shop at Aldi and Lidl instead of the big named supermarkets and buy the cheaper brands. We also grow our own fruit and veg in the spring/summer to cut down on costs. Always check if what you’re after is on freecycle/freegle or ebay before going to a high street shop. Batch cooking at the weekend which means there is always something tasty and nutrition in the freezer to feed my family instead of being tempted with processed quick food. Saving you money. If you can swap from the bigger supermarkets and use local grocers – a lot of the stuff is not ‘packaged’ so you just pick how much you need – also helps save on the leftovers ! Hunt for voucher codes & discounts for retail stores and restaurants, you could save a lot of money! If you have small children make you own playdough, a lot cheaper than buying in pots. I’m also a huge fan of contacting companies to let them know how much you’re enjoying their products – they sometimes send out freebies or other goodies! Spam once sent me a cookbook, hat, hoodie and frisbee! We still have the frisbee! When cooking in liquids, turn the heat off for the last 20% of the time. The food still cooks and will be just as hot. If you’re paying high interest on credit card, transfer to a 0% credit card until the debt is paid off. However, do not spend new money on the new card as the interest rate will rise considerably. When the debt is paid off, you will be able then to budget better. of time to really think it through can really save you from making rash purchase. Definitely planning meals – it means you aren’t popping to the shop constantly and wasting food and money! Take lunch to work, either leftovers or sandwiches – both are much cheaper than anything you can buy on impulse! Frugal can be so much fun. If you give it a try. De-clutter and sell everything you don’t need online. Carshare! Its so underrated and so useful plus the petrol cost is halved AND it’s not always wear and tear to your vehicle! Nice to not have to always be the driver also! Do your grocery shopping online, that way you are not tempted to pick up extra items that you see the end of shopping aisles. Also try and shop monthly rather than weekly – can save £££s through the month. Tonight we’re going to the cinema, £3.75 for two tickets thanks to the meerkat deal! I think it’s essential to find out the most trustworthy blogs and deals sites on the internet before buying anything substantial. Check put if it’s cheaper booking direct with a hotel than using a booking site, sometimes is. Always look for discount codes and use cash back websites. Take a flask and packed food for the day. Cafes and restaurants eat into your disposable income. Meal planning for the week saves us loads! i think twice before i buy anything,,,also, do i really need it. Don’t use your washing machine for laundering just a few items. Wait until you have a full load, saves money off your energy account throughout the year. Think wisely before each purchase and if necessary sleep on it. I always plan the meals for the week around what I’ve got in the freezer. Then write a shopping list of everything I still need and stick to it (apart from a quick look at the yellow labels stuff in case there is anything that is a good reduction I can put in the freezer for a future week). Turn off the lights when you leave a room…no need to leave them on if no one is in there! Wear a jumper or coat around the house when the weather gets cold, thus keeping you nice and warm indoors – it’ll save you plenty of money on bills and you won’t have to turn the heating up so often! always look for discount codes when buying something online, could take you 10 minutes to find but worth the saving. avoid food waste, make food last over 2 meals. Like potatoes – don’t peel them, buy big potatoes and slice the skin off thickly. Mash as the side on day 1, potato skins filled with your favourite topping as the side on day 2. No waste, and money saving. Follow stores and retailers like Amazon, Asos, eBay and Debenhams on Twitter. They often tweet about their latest deals and offers and it’s possible to pick up some good bargains. We use the heating as little as possible. It’s off when we go to bed and in the evenings we put on a jumper or use a blanket and only then when it’s too cold do we put it on. I always use cashback sites and I love going to a good old car boot sale! Only buy what you and not just because it is on offer. Wash your car yourself – and learn basic car maintenance too! Meal planning for us has been one of our biggest money savers. It is so easy to just ignore what you already have and go buy more. But meal planning helps us to be intentional with what we have, including our money and other resources. Great post.